Again, the same “Bangladesh!” After a great win in last ODI and Test series, Bangladesh have been defeated by West Indies and they are 1-0 ahead of the series. They just not only blew away the hosts but also taught a good lesson how to play a T20 match. With that win, West Indies have got plenty of confidence and will look forward to winning this series as this is their last hope to take something back with them. On the other hand, Bangladesh will be carrying a lot more pressure so that they can keep their win alive for the last series of this year. As usual, Bangladesh are not as strong as they are in ODI formats. Though they are improving in this format. They have played 14 T20 matches so far in this year. Among them, they just lost 10 matches. They couldn’t bat in a rhythm in the last match except for Shakib. In the last match, he was quite shiny with his bat and did a fifty on that match. After returning from injury, dashing opener Tamim Iqbal is also struggling with his bat. We hardly now see good innings from Liton Das and Soumya Sarkar. On the other hand, Mr. Dependable Mushfiqur was unlucky in the last match. Otherwise, he is in good form. Cutter Master couldn’t beat the West Indian batsmen with his cutters. Liton Das, Tamim Iqbal, Soumya Sarkar, Mushfiqur Rahim, Shakib Al Hasan, Mahmudullah, Ariful haque, Mohammad Saifuddin, Mehidy Miraz, Abu Hider Rony, Mustafizur Rahman. West Indies had five consecutive defeats in T20 internationals before the last match. They have now played 12 matches and among them, they have three wins and nine defeats. They were also going through a nightmare in T20 matches. After winning the last match, they have gained some confidence. 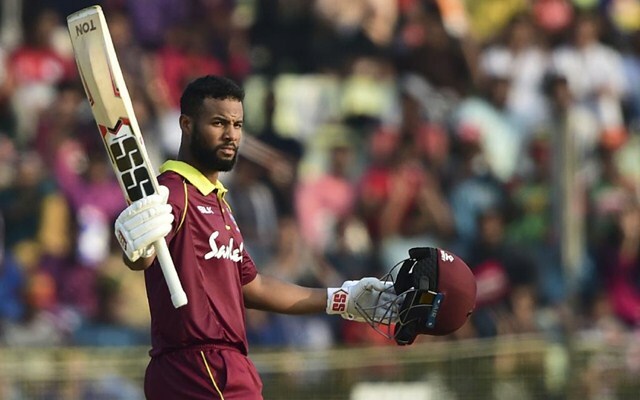 Besides, Shai Hope is showing some hope with his incredible form. He just finished the ODI series as the best batsman in the series and played a winning role in the last match. Evin Lewis, Hetmyer and Darren Bravo will also be the key players for West Indies. The left arm pacer, Sheldon Cottrell will try to repeat the same performance in Mirpur. Evin Lewis, Shai Hope, Nicholas Pooran, Keemo Paul, Shimron Hetmyer, Darren Bravo, Powell, Brathwaite, Allen, Sheldon Cottrell, Thomas.